Learn about a combination that will rock your socks with chocolate and spice as we get into making these amazing Mexican Chocolate Chili Fudge Pops! Ashley of Baker By Nature is one of the sweetest souls I know in the food blogging world. To be honest, I first noticed Ashley by the kind comments she left on other blogs and I quickly fell in love with her innovative recipes which she churns out from her small apartment in Brooklyn. Ashley balances decadent sweet treats like these toffee coffee chocolate chip blondies with healthy, creative salads. Her quinoa salads are on my to-cook list this summer and I’ll definitely earn some brownie points with my breakfast-and-pizza-loving husband when I make Ashley’s breakfast pizza for him. Now let’s ring out this Summer N0-Bake Party with some spice. Happy First Day of Summer to all of you! Hi friends! I’m Ashley from Baker by Nature. Over on my blog, I tend to crank on my oven A LOT, but since this is a Summer No-Bake Party and all, I cooled things down for this celebration (and heated them up with spice!) 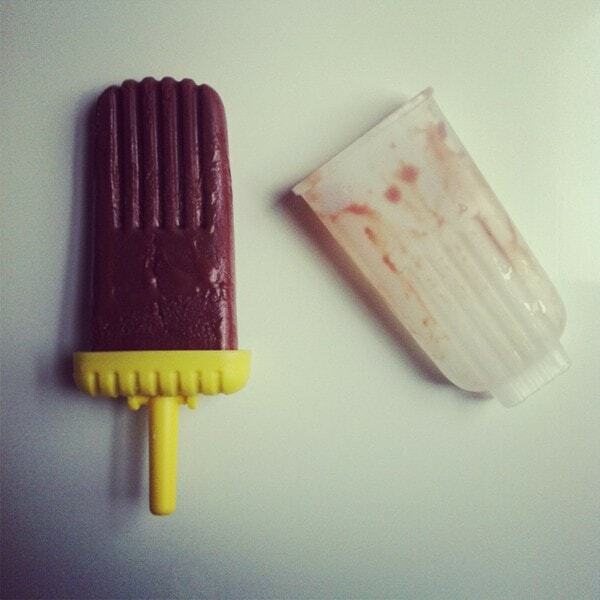 and made us some Mexican Chocolate Chili Fudge Pops. If you like chocolate and spice, these are definitely something you want to sink your teeth into! I’m seriously in love with mexican-spiced chocolate these days! I mean – don’t get me wrong – I’m in love with pretty much ALL chocolate, but the spiced stuff definitely owns its own little condo in my heart. I don’t know what it is exactly that makes it SO addicting and enjoyable, but man-oh-man, do I keep going back for more. I’m already dreaming up more Mexican chocolate recipes as I type this! What can I say? I’m a sucker for the s-p-i-c-e. This week I decided to put a spicy spin on one of my favorite Summertime treats – the fudge pop! 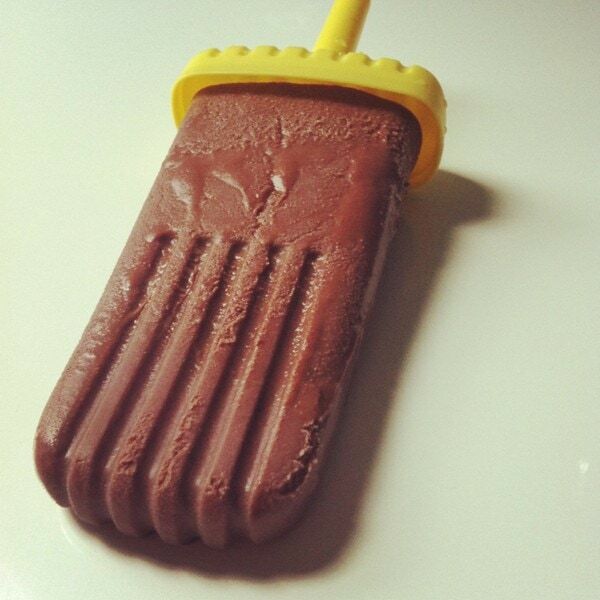 I’ve gotta tell you, having fudge pops in your freezer on a hot days is as good as it gets. Did you grow up eating fudge pops? I hope (for your sake!) the answer is YES. I feel like fudge pops are just a summer essential, and if you’ve never had one before (hold on while I squeeze on my bossy pants; they’re getting quite tight…), you MUST try one today. Or tomorrow. But probably today would be best. You’ve got a lot of making up to do! Spicy Popsicle Recipe – Coming Right Up! The subtle spice really works in these deep and rich chocolaty pops, and in my opinion makes them even more addicting than their original chocolate counterparts. We’ll definitely be having these in the freeze on the constant. Or not… since I can’t seem to stop myself from eating them all. Learn here about a combination that will rock your socks with chocolate and spice as we get into making these amazing Mexican Chocolate Chili Fudge Pops! 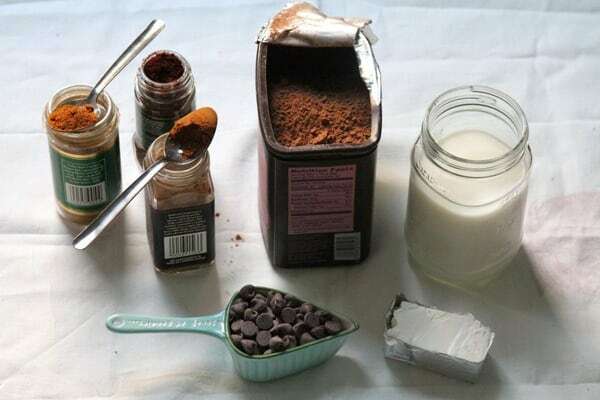 Melt chocolate in microwave or on stove top. Combine the melted chocolate, milk, cocoa powder, chili powder, cinnamon, cayenne pepper, corn starch, and powdered sugar in a heavy bottomed sauce pan and place over medium heat. Cook for about 10 minutes, stirring almost constantly. 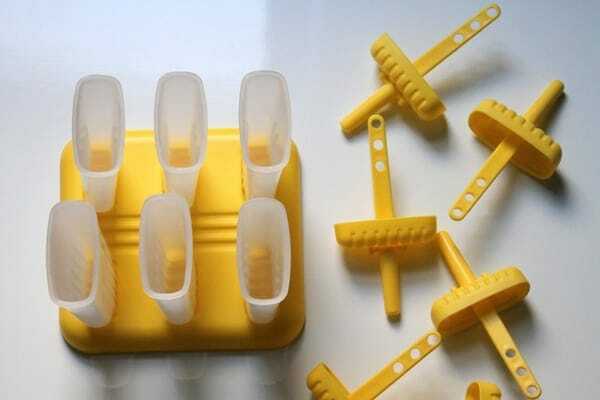 Let the mixture cool for about 10 minutes (it should be warm, but not hot to the touch), then pour into popsicle molds. 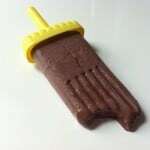 Freeze popsicles for 30 minutes, then insert sticks and freeze for another 20-24 hours. I made Ashley’s creative popsicles this summer and they were AMAZING! I even made my own magic shell for them and added colorful sprinkles. Place 1/2 cup chocolate chips (semi-sweet) into a narrow glass. Melt in the microwave at 15 sec. intervals. Stirring each time. Once melted stir in 1 tbsp vegetable oil (or coconut oil). 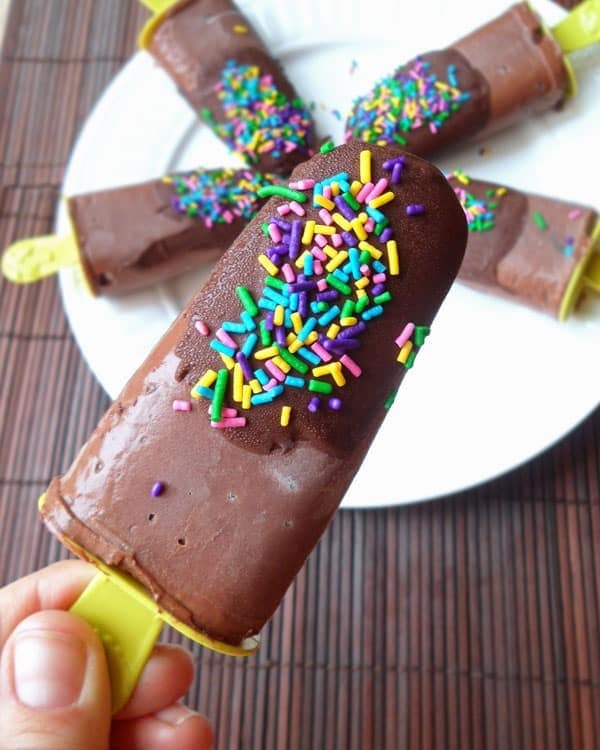 Dip frozen popsicles into magic shell and tap off excess. Immediately add sprinkles. 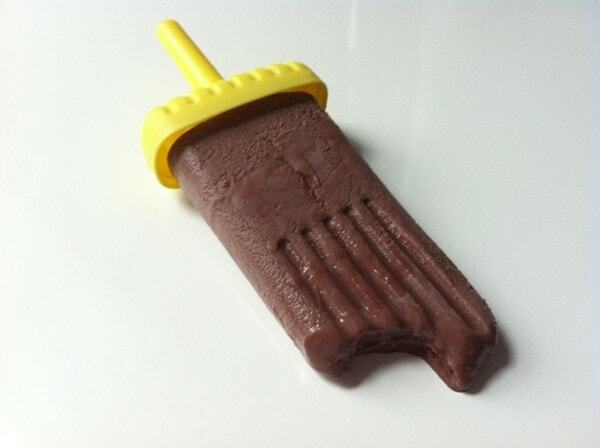 Enjoy right away or freeze popsicles again. Ashley, these pops are creative and look so yummy!! I love the surprise chilli mix with chocolate. Regina, it’s nice to find your blog through Ashely, I’m a follower now! Hi Ashley, like your photos and your recipe. I certainly grew up eating fudge pops (fudgesicles). I expected the recipe to be complicated and was pleasantly surprised to see how easy it is. Regina, sorry I’m not able to read and comment every day, but I do get here as often as possible and love what you have to share with us! Thank you so much for visiting here as well Stacy 🙂 It was my absolute pleasure to host Ashley. A huge fan of Ashley’s work here too, and this post is once again – wonderful!! My boys would be all over these, maybe if they’re really good we can put some together for this hot and humid first weekend of summer. Great post! !